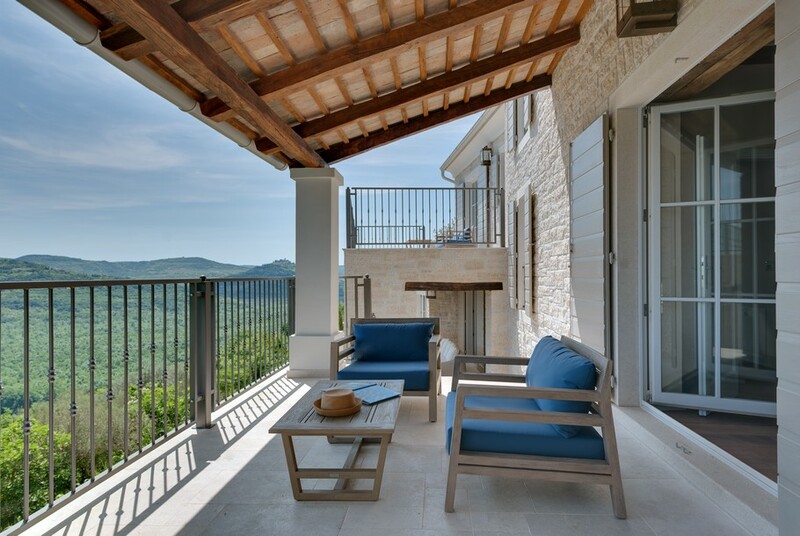 Mentioning the Mediterranean, one usually thinks about popular places such as French Riviera, Greek Islands or Tuscany region in Italy...yet witnessing the different, still quite undiscovered part of Croatia is Istria. 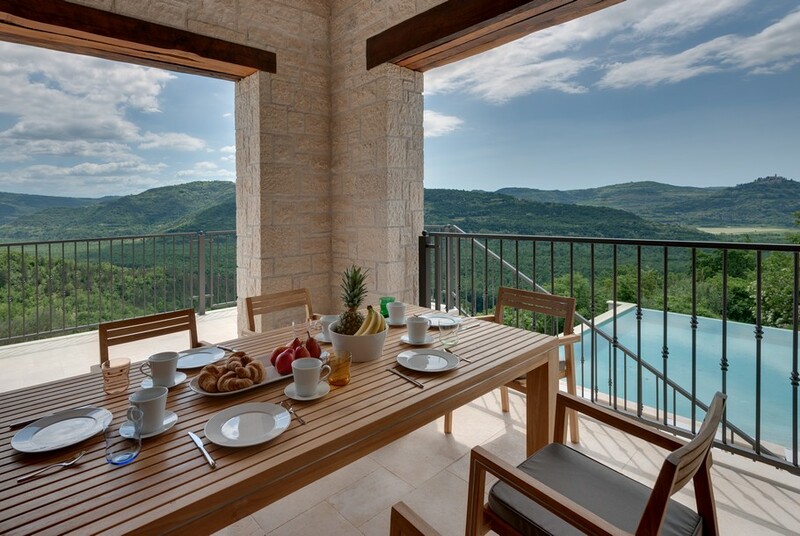 One of the largest peninsula on the Adriatic sea is a true pleasure. 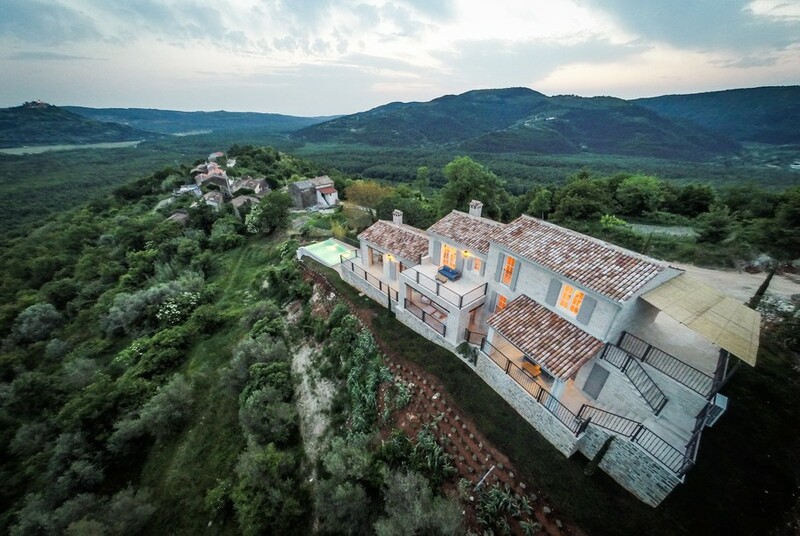 Croatia’s Istrian Peninsula is home to some of the most sought-after culinary ingredients in the world and at the top of the list is the white truffle. 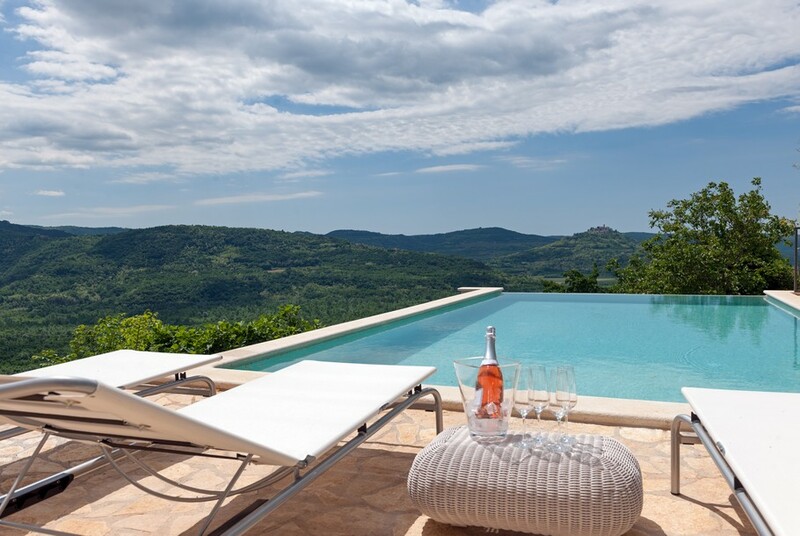 Istria’s olive oil has been repeatedly ranked among the tippy-top, and its wines, made from the teran, muskat and malvazija grapes, pair excellently with the local Mediterranean cuisine. 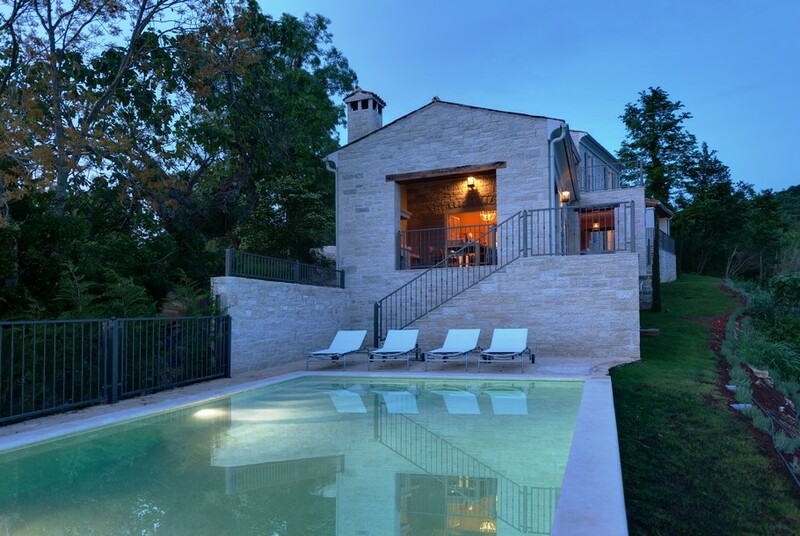 Istrian paradise waits for you and so does Villa Mulino. 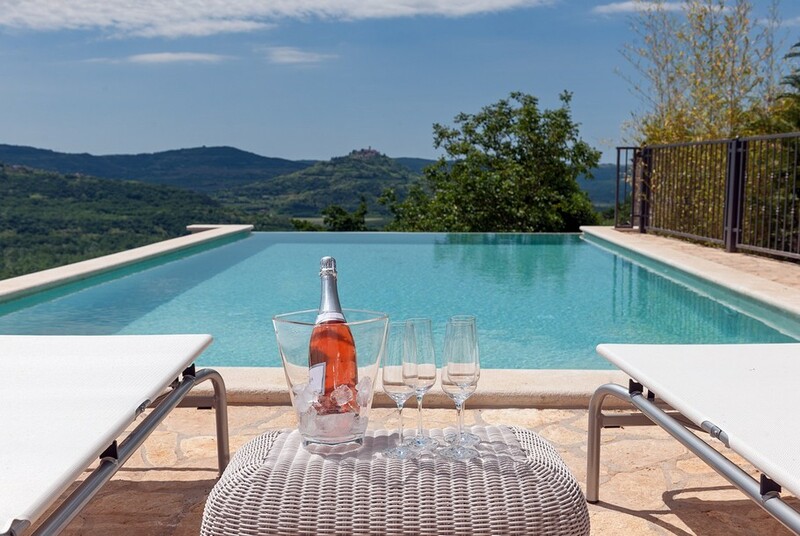 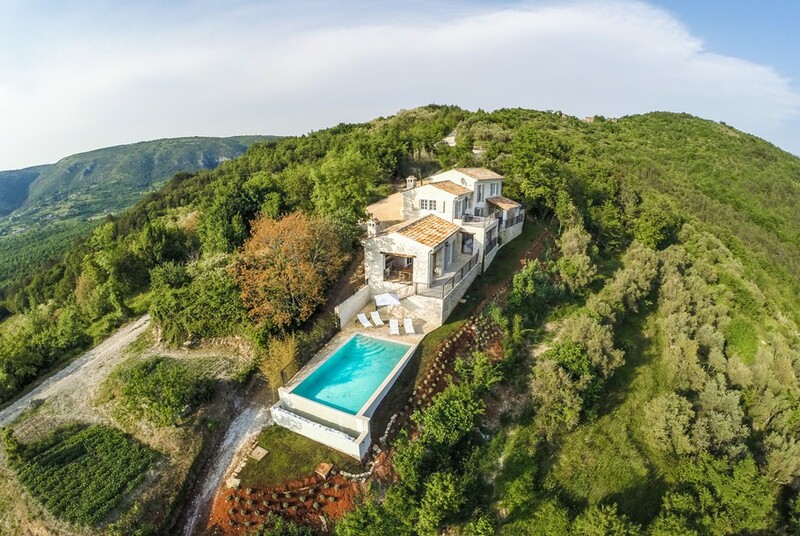 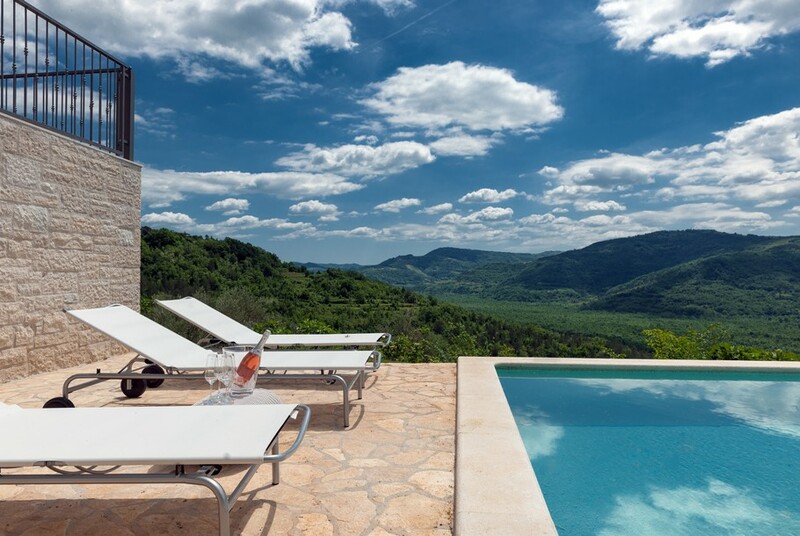 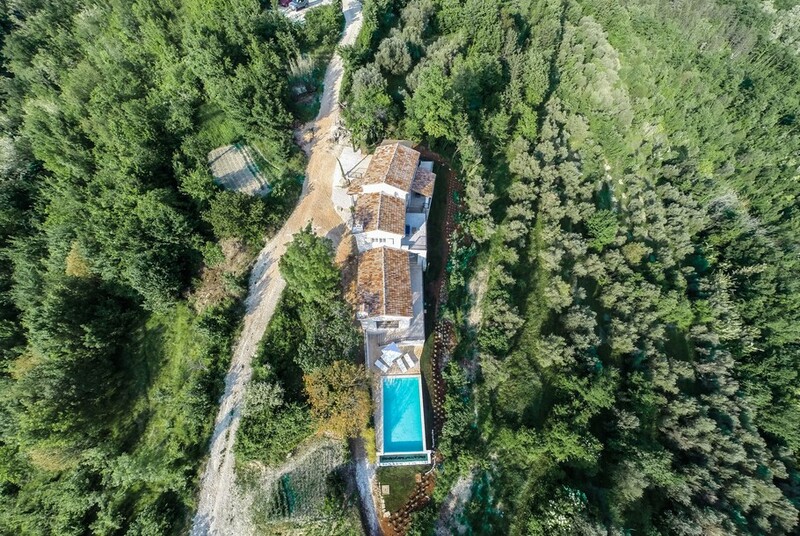 The villa has a dominant position on a hilltop, which in return gives you wonderful panoramic views of local contour and town Motovun. 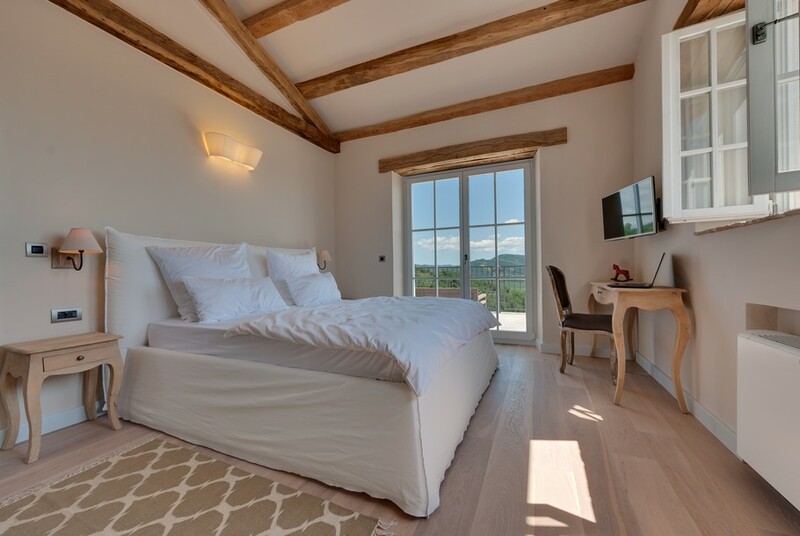 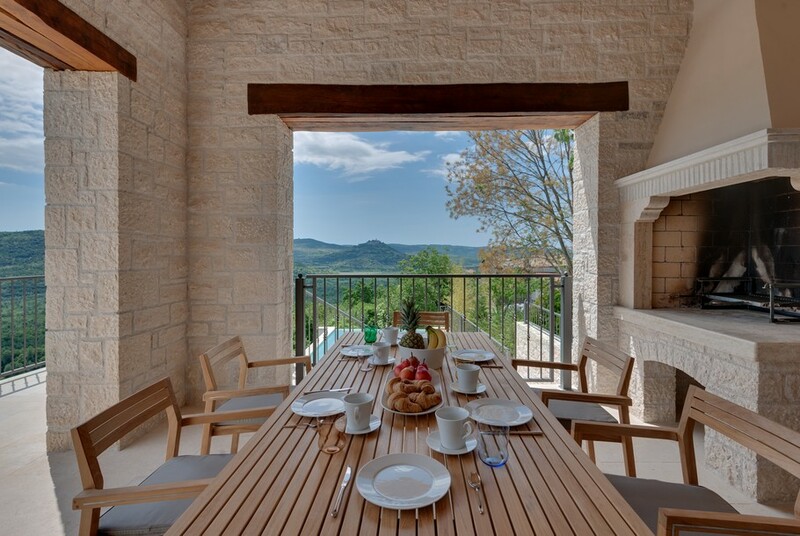 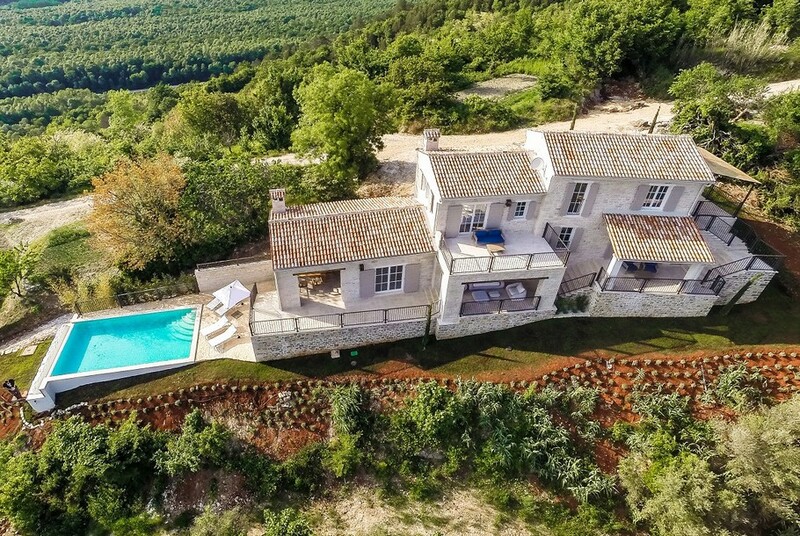 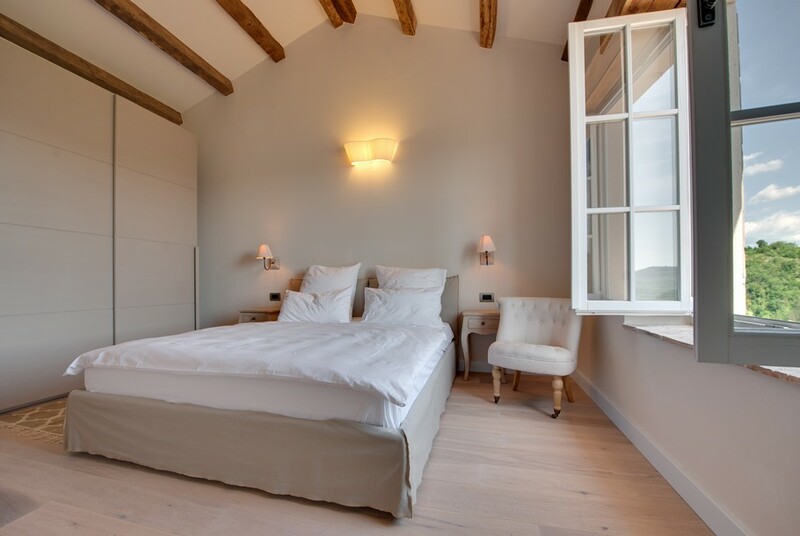 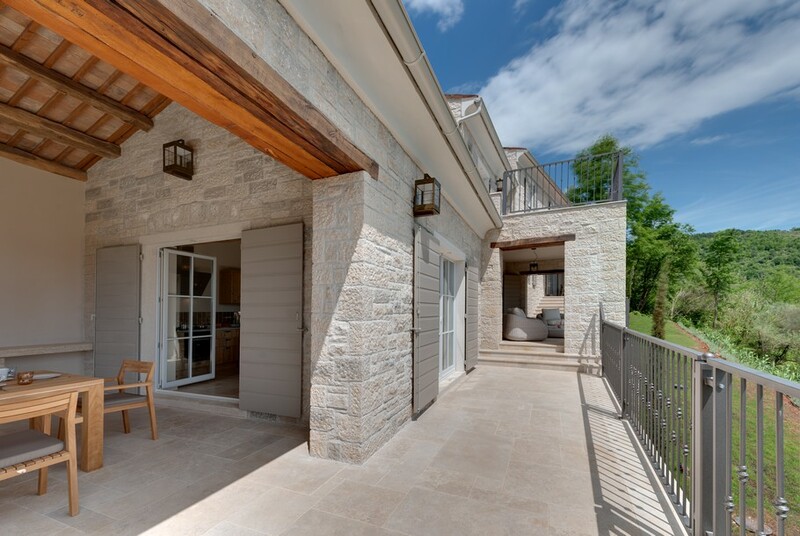 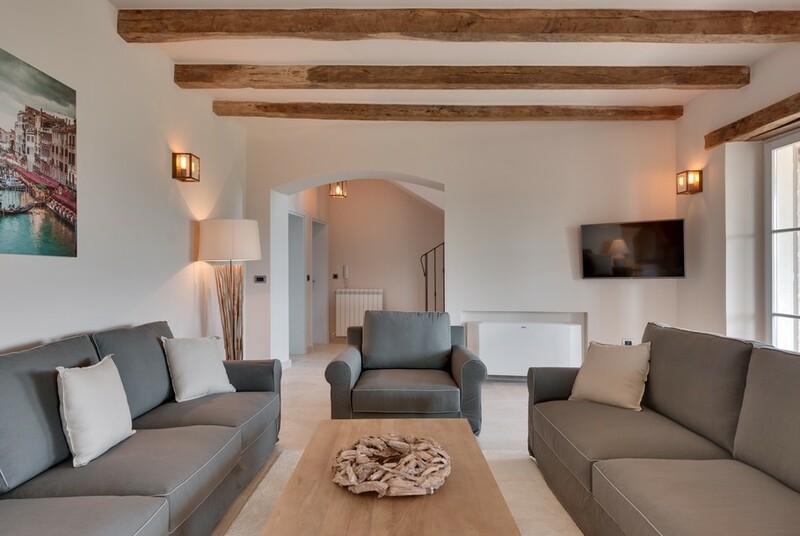 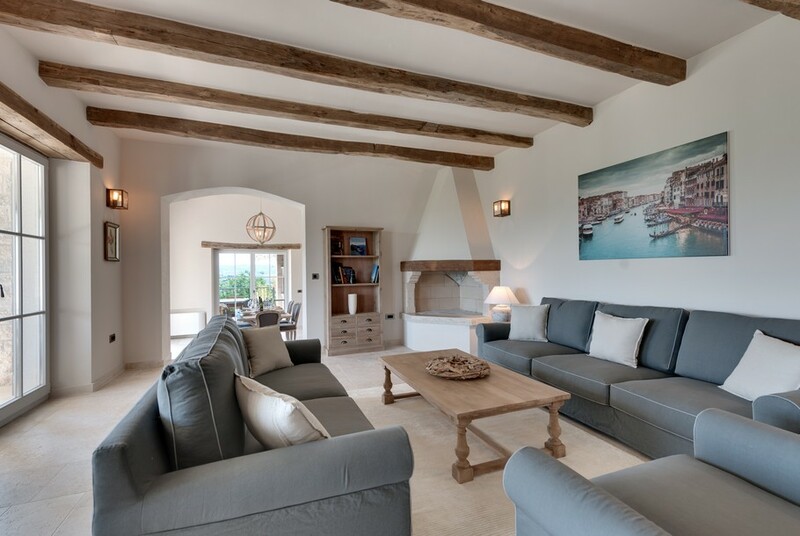 Facing to the open countryside, Villa Mulino enjoys a sunny aspect from sun rise to sun set and provides a comfortable, convenient base during your vacation in this part of Istrian peninsula. 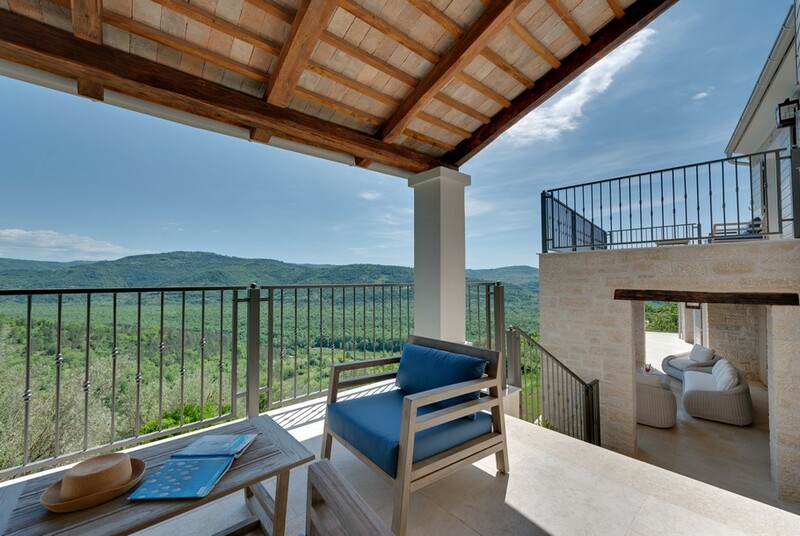 With the convenience of all the area sights and the peaceful settings, many guests return each year to their Istrian retreat. 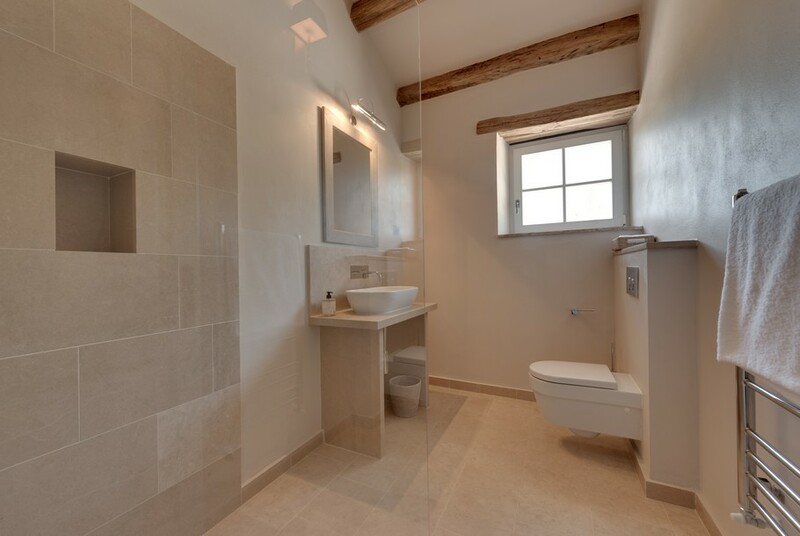 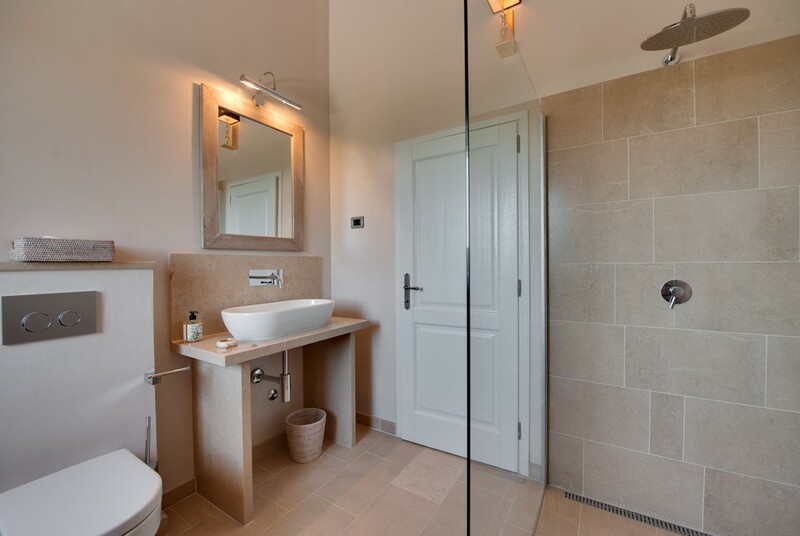 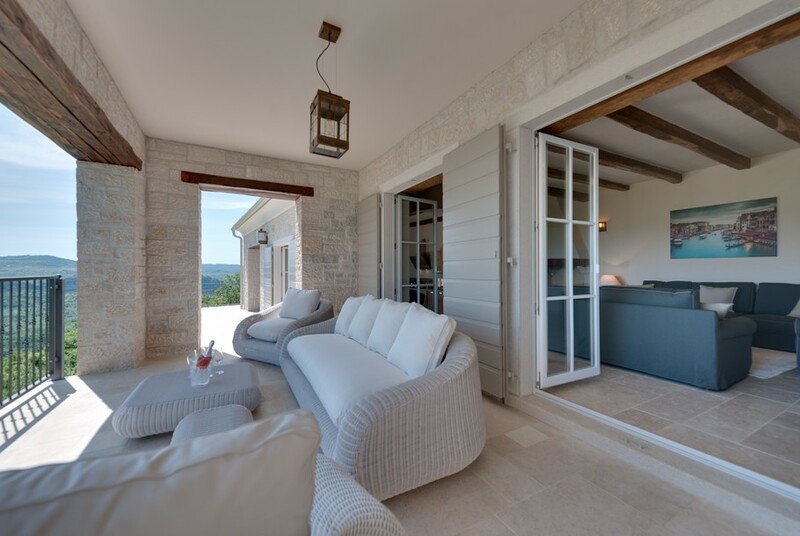 Carefully designed, this very modern stone house includes 3 bedrooms with en-suite luxury bathrooms and two terraces, all good for a relaxing time. 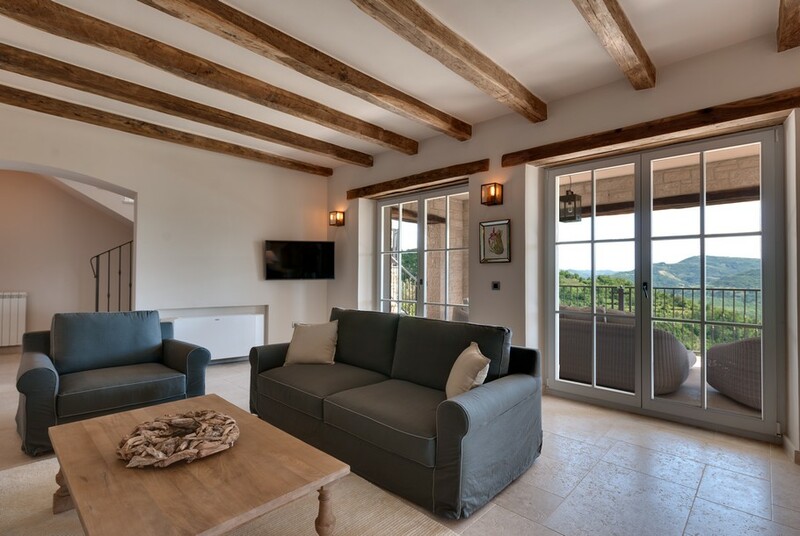 The whole interior decoration consists exclusively of designer furniture and has plenty of natural light. 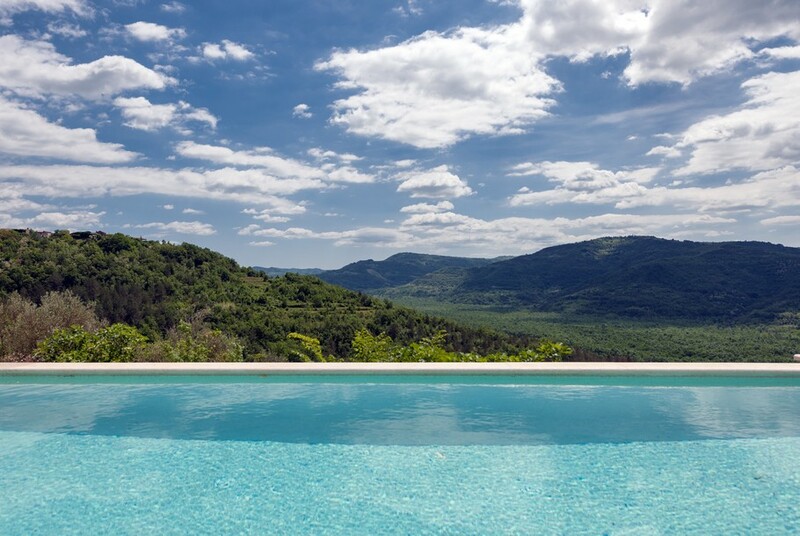 Easy access to outdoor pool (36 sqm infinity pool) and a 1000 sqm garden offers guests opportunity to relax and sunbathe. 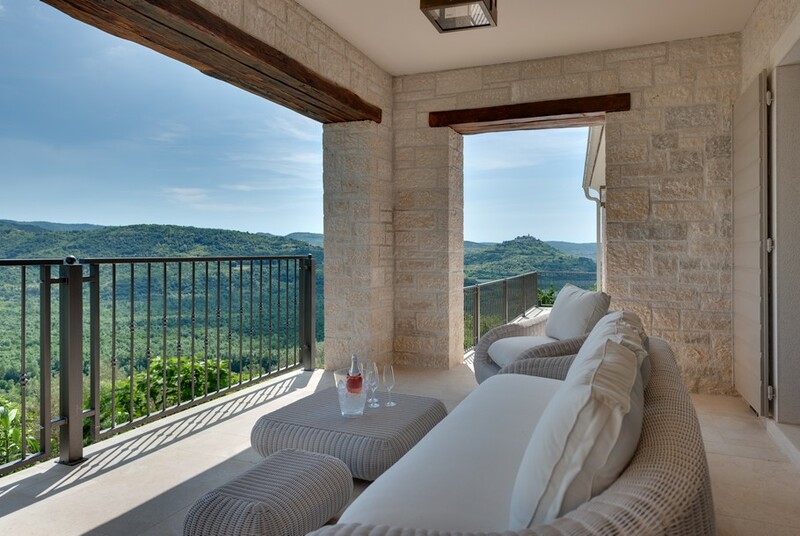 After unpacking, all you need to do is open a bottle of local wine and enjoy the good life in your Istrian home. 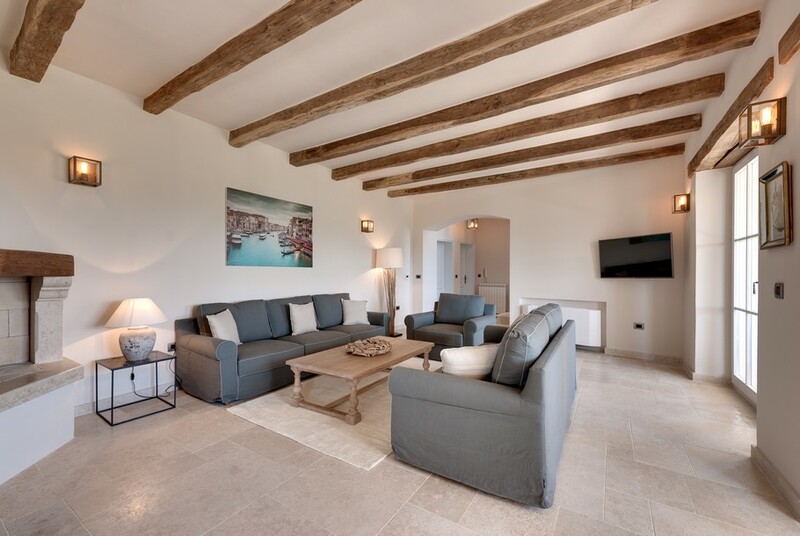 Further features are the fully equipped kitchen, the oak wood and lime stone floors, air conditioning, heating, floor heating, unlimited WiFi, SAT TV, a sound system, television in the living room and the bedrooms, washer, dryer and Nespresso coffee mashine. 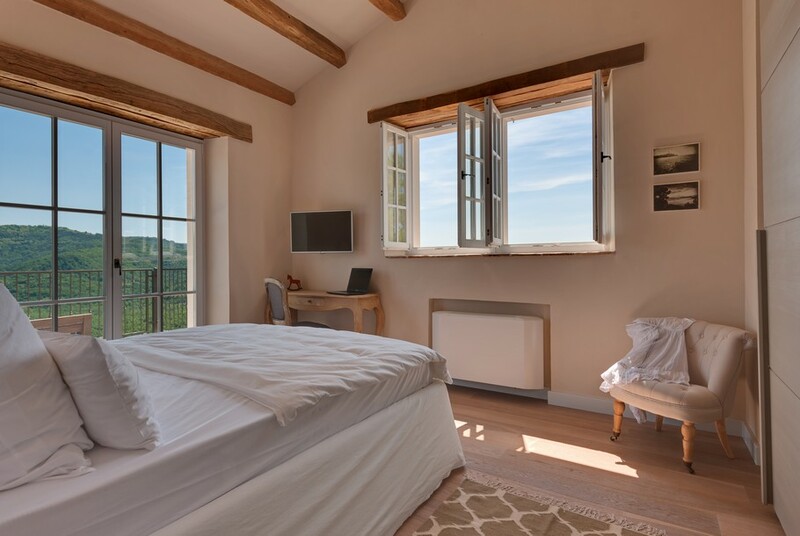 Being part of this picturesque setting includes gallivanting around medieval Motovun and personally testing each restaurant, caffe, boutique and outdoor market. 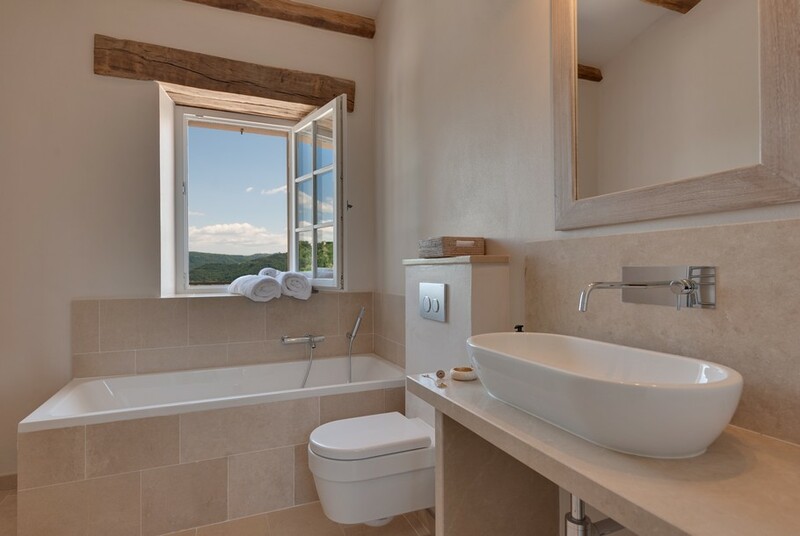 Motovun is one of the most beautiful, preserved and popular old Istrian medieval towns, with a spectacular view of Mirna River Valley. 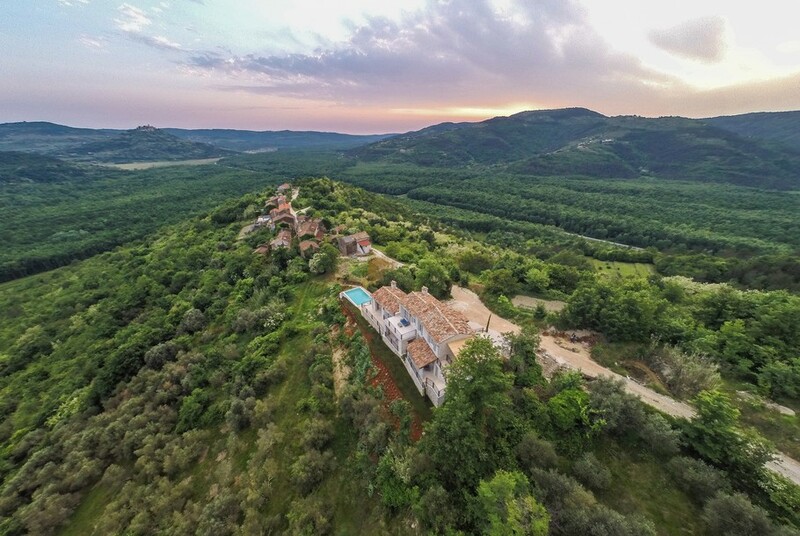 Motovun Forest is the best place for hunting the famous Istrian truffle and the nearby village of Livade is considered the truffle capital of Istria. 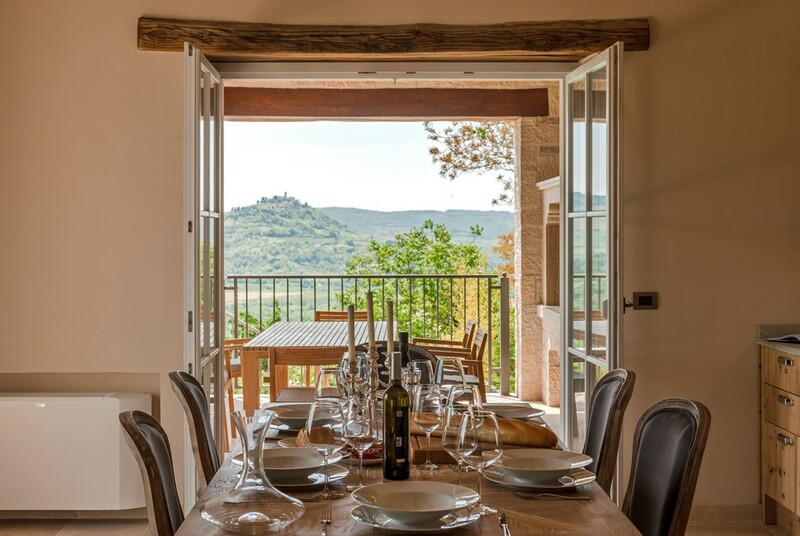 You probably won't have your own truffle hunting guide as Anthony Bourdain did, but at least you can enjoy this precious underground jewel in local restaurants, taverns and family farms. 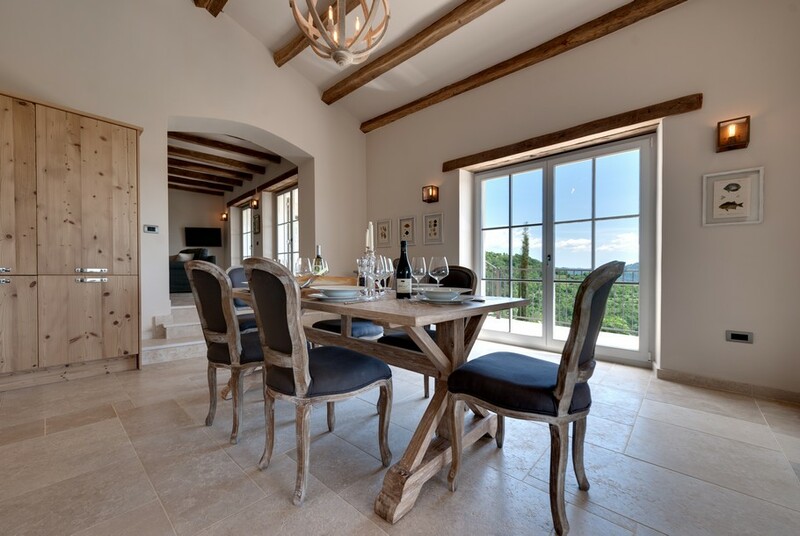 If wine can be condensed into two colors, red and white, truffles can be viewed the same way, black and white. 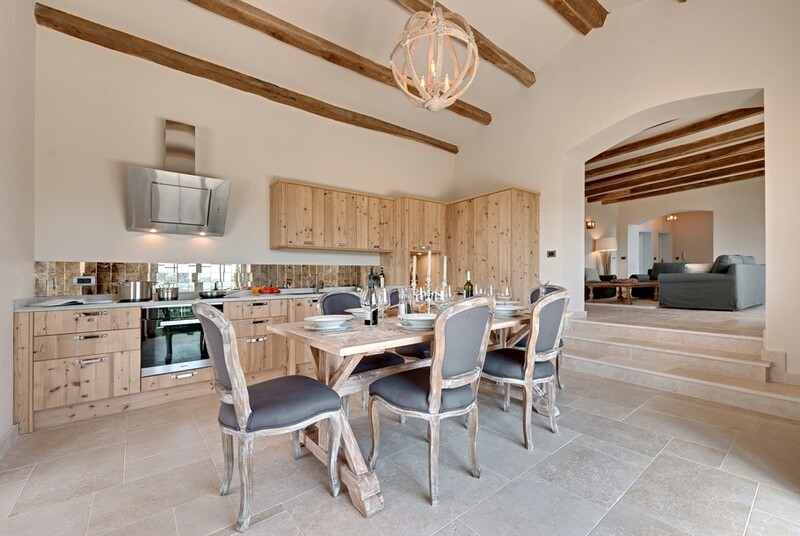 Truffles have the ability to transform a simple home chef into a gastronomic powerhouse with the ease of a magician’s wand! 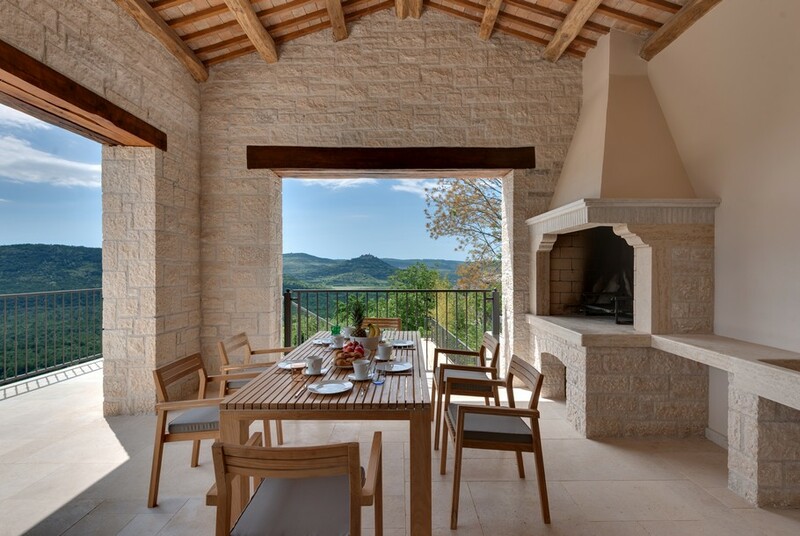 To eat in Istria is to celebrate pure taste and simplicity. 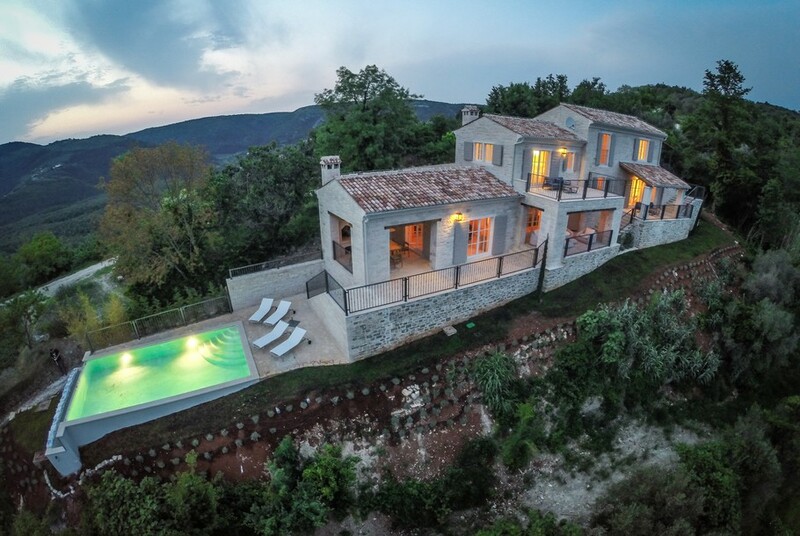 Minimum required stay at any time is 4 days.